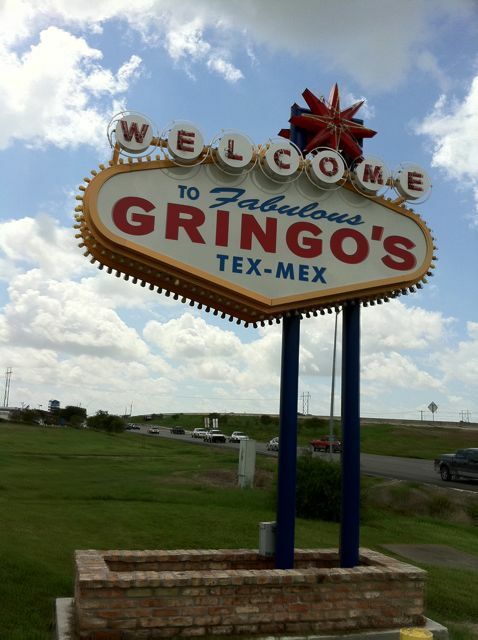 Returning to Houston from Galveston Island, “Gringo’s” caught my eye. The sign is dazzling. It also exquisitely illustrates the aspect of Tex-Mex food about which I’ve been doing a lot of thinking. 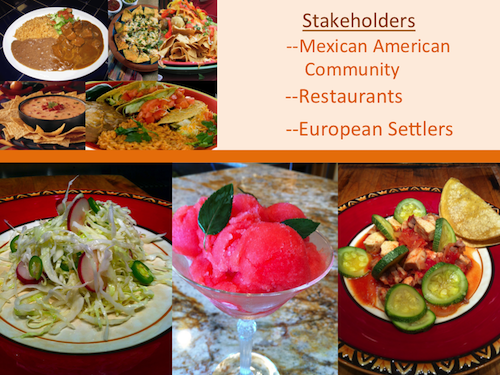 Restaurants cook Tex-Mex dishes because we seek identity, discovery of who we are. There’s much to say about this but I’d like to just briefly note two forces that are at play. First, there is the written documentation of Tex-Mex dishes. Overwhelmingly, not exclusively, these are books by European-American writers that attempt to say what Tex-Mex is. These are written by authors who’ve been able to enter and navigate their way in educational institutions. They’ve also been able to gain access to those institutions that control communication and publishing. The voices of Mexican American cooks have yet to be properly heard, although there is an emerging group that is gaining traction, including Diana Barrios, trailblazer Matt Martinez, Sylvia Cásares, and now the brilliant and provocative team of Luz Calvo and Catriona Rueda Esquibelone. These authors represent diverse voices about Texas and Southwest cooking that date back over 25 generations. They tell stories and recipes that have actual links to the original, native roots of our culinary history and flavor profile. Together, all of these authors, devoted to the Mexican food of Texas, help preserve our culinary history, a history that also speaks to who we are as a people. Second, there is an oral tradition which is carried on in private homes mainly by family cooks who’ve not been able to access education nor publishing venues. This oral tradition is ancient, reliable and the source of all the recipes that abound in the culinary world of the Mexican foods of Texas, a world that is larger than “tex-mex”. Both of these two forces link cooking to identity. Our region’s history (Texas/Northeastern Mexico), saw the near extinction of Indians and the increase of Europeans. Over time both Indians and Europeans have come to eat variations of the same cuisine. Both want to sit at the table and taste delicious food that is linked specifically to the land and to our families. Regardless of how we label it, we continue to cook Tex-Mex, Gringo’s, Mexicano, Tejano, Texas Mexican, because what is at play in the kitchens is who we are and how we will choose to live and eat together–at the same table.